Me and the Atkins go way back. To middle school when I was totally cool. And by cool, I mean soooooooo uncool I’m not even sure where my current cool self came from. Anway, during those days my circle of besties included Dana, a wild child from NY who is totally the kind of friend I needed to bring me out of my shell. I mean, she’s the one who first died my hair pink. To this day, even though we rarely get to see each other, are friendship has stood the test of time and I love her and her entire family. Way back when I first began photographing weddings, I photographed her sister, Caitlyn’s wedding and this past September I had the ultimate privilege of photographing their third sister, Jillian’s wedding. Even better, it took me to the countryside of New York, a New York I had not yet experienced and I was in total love. The farmland, the wineries, the twisty roads, the fresh air, the finger lakes…..ahhhhhhh! The trip was wholly rejuvenating. 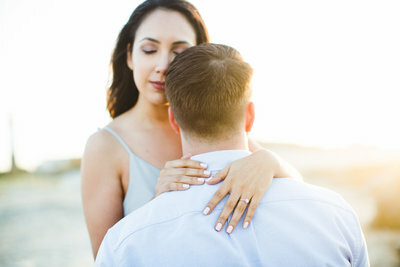 And so, thank you Jillian and Patrick for having me there to document your amazing day! And for the rest of you, enjoy their lovely photos! The day took place at the incredible Esperanza Mansion. I can’t say enough how much I love a wedding where everything takes place all in one spot. Its so carefree and relaxed as everyone can just kind of hang out and enjoy each other. No rushing about! Patrick is kind of a silly pants but I love that about him. 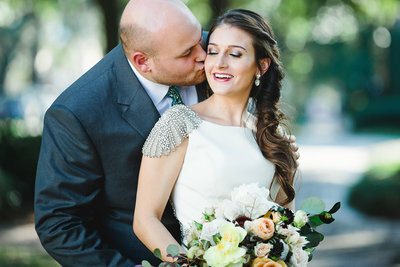 Patrick and Jillian chose to do a First Look so we could utilize the gorgeous grounds for photos and ensure all family photos were done prior to the ceremony…..because who doesn’t love getting to attend their own cocktail hour!? I sure do love giggly couples. Like for real y’all, it doesn’t get cuter. 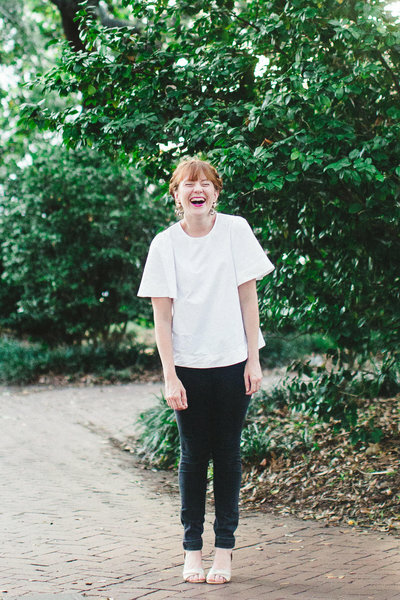 Jillian created a hilarious “Guide to Surviving a Wedding” as her program. It was chock full of all the details one needed to know, but with comical twists that showed off their personalities and sense of humor. The Esperanza Mansion lent itself to a fabulous party full of yummy food, drinks, dancing and fun! Again, a million thank yous to Jillian and Patrick for including me so lovingly in your day, not only as your photographer, but as part of your family. I love y’all!!! Ok, there are 3 awesome things I notice. 1) They have incredible laugh faces. 2) You finding your light for portraits = awesome. 3) Is that off camera flash in the groom’s prep shots? Get it girl. Thanks Alexis! They do have great laugh faces, right!? Love it!. And I just got lucky that day with lots of lovely natural light – including in the guys getting ready photos – I sure do love me some big windows!! !